This entry was posted in Blog and tagged journals, writing process. Bookmark the permalink. Happy Scribbles Blog Hop, dear ? You have such lovely handwriting! That’s cool that I can actually read the words from here LOL! Your daughter’s journal is impressive – that apple didn’t fall far from the tree. Partly my handwriting, partly my husband’s obsession with getting better and better cameras 🙂 What you say about my daughter…I hope so – she’s getting an earlier start at it than I did, for sure. It’s really clear that your journal, and journalling, is an absolutely critical phase in most of your writing, and really helps you with the feel and planning of a new piece. I was also struck by the apparent style similarities between your daughter’s handwriting and yours… Was your handwriting like hers when you were six? Different things work for different people so if a journal isn’t for you, don’t force it. I too can’t write long pieces by hand but find random thoughts, ideas and inspiration come out easier on paper than on screen. As for handwriting, mine will literally change by the day. They’re all pretty neat, I would say, but the style of my script will change vastly from one day to the next, with my mood maybe. 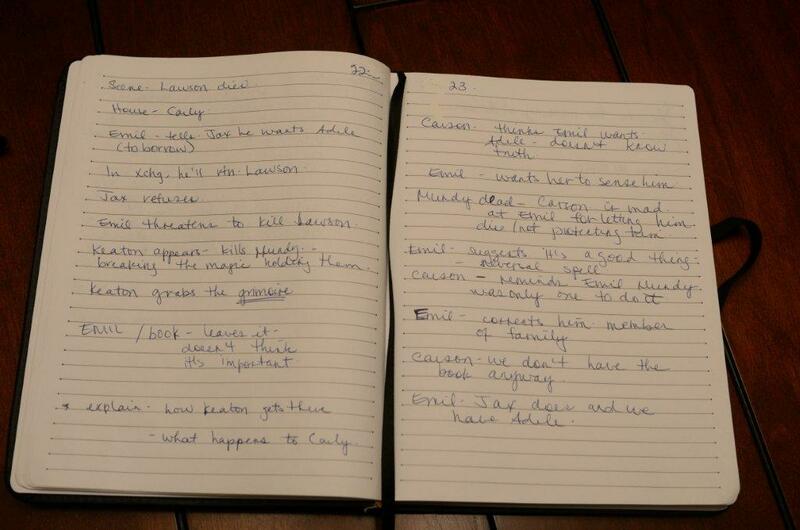 The pages all look like someone different wrote them. Odd, I know. So far I haven’t noticed this with my daughter. Thanks for visiting, TJ. Oh, love seeing your daughters journal and your own. A for awesome indeed. Aww, I love the excerpt from your daughter’s journal! I knew she’d steal the attention!! 🙂 I’m glad to let her shine – I’m so proud of her love of writing. I can’t wait to find out if she buys the pet….. I started doing therapeutic journaling a long time ago. Very helpful in getting my thoughts straight. When I started to write fiction seriously, I made a point to keep the two kind of writing separate. It’s been a great discipline for me. Oh blow, your daughter has better handwriting than me. And her spelling is better than her father’s. 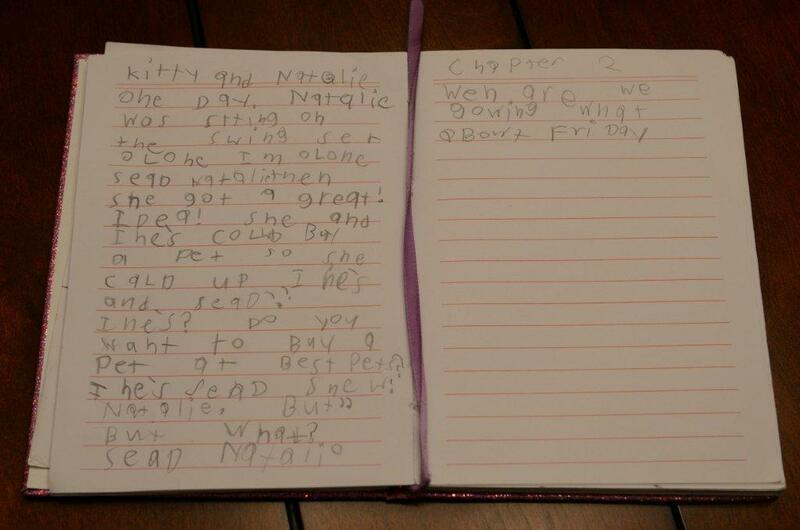 Awww, the daughter’s journal entry was as cute as my Mason shot! I do hope he starts writing stories too. I’ll make sure he has the physical tools. I think I was six when I started using paragraphs. I realized that all the other books I was reading had them, and thus they had to be important. I wish I knew about flash fiction when I was a kid, I think just about any kid can concentrate long enough to write a flash! Good idea! I should get her turned onto flash!! I’ve had that so often, where I forget to include an idea and then it’s very awkward to go back and add it to a scene later. “It’s the personal element of putting pen to paper, the slower pace of forming sentences that forces words to gel in a way it might not when hands are flying across the keyboard.” <— This sums it up for me right here.